My tailor was finally back from his summer holidays and I got some stuff done that had been waiting for quite a long time. One of the projects I had for him was my old pair of raw denim from Indigofera that I wanted to alter a bit. I had previously had them tapered as much as I could to still be worn with my winter boots, but that left them slightly too wide to be worn with regular shoes so I had them tapered a bit more. Quite happy how they turned out. 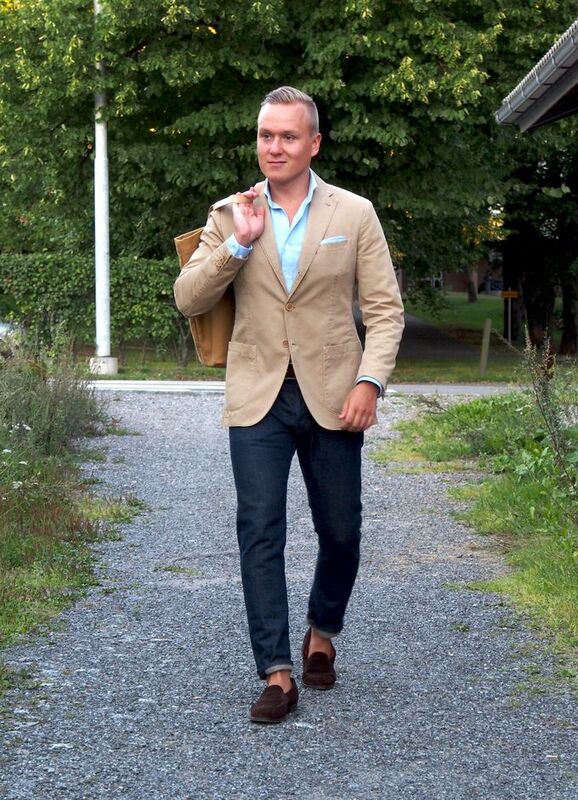 The jacket is from Cantarelli, shirt from Trashness, belt from Equus Leather, denim from Indigofera, penny loafers from Septieme Largeur and tote bag from Sandqvist. 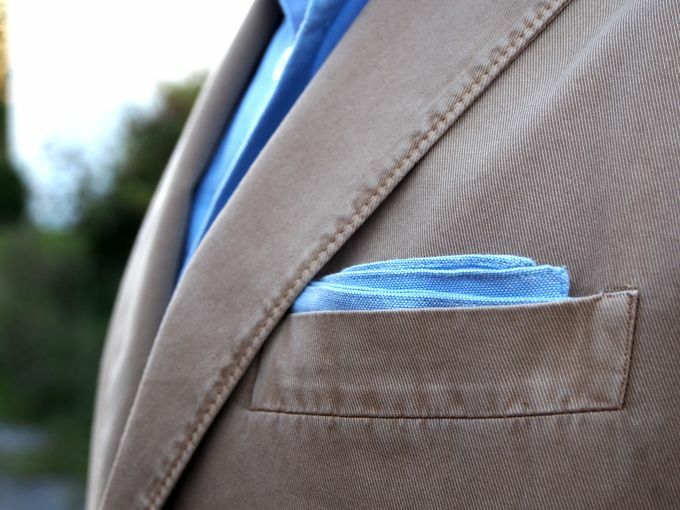 I seem to pick a light blue shirt and a pocket square every time I wear this jacket in a somewhat casual combination. 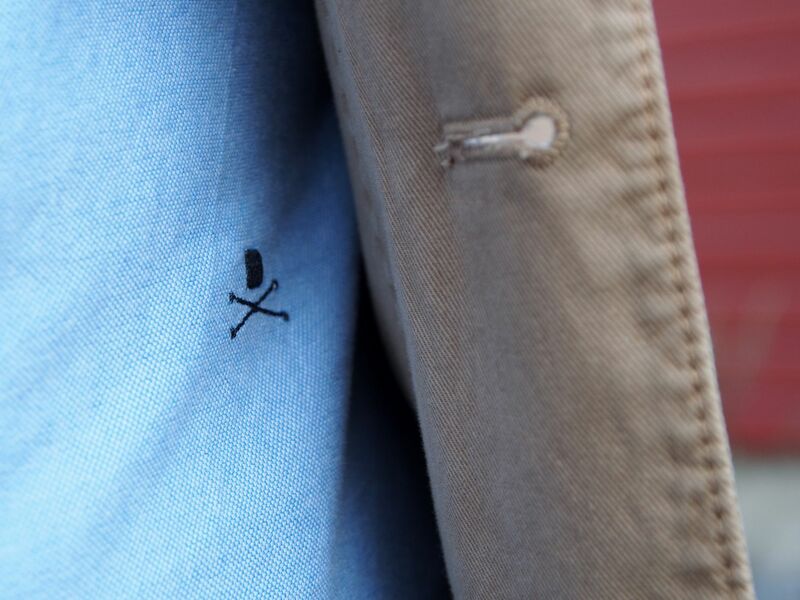 This khaki and light shades of blue simply complement each other so well it's hard not to. The fit on this Trashness shirt is pretty damn good, a lot better especially from torso down than my usual go to shirt brand SuitSupply. A separate post will follow after my holidays. 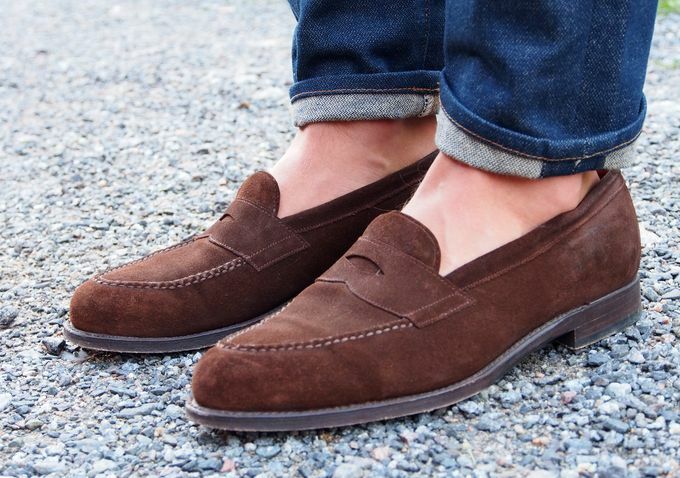 And perhaps my favorite summer shoe pair at the moment, my Septieme Largeur brown suede penny loafers.